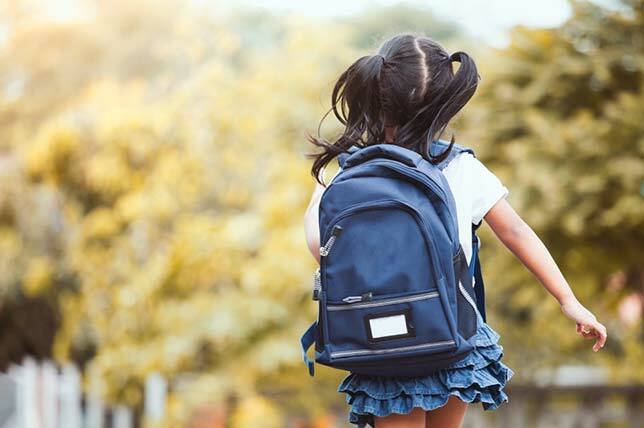 A team of medical experts and researchers in New York state's Hudson Valley have put their names on a research paper detailing the impact on the spine of carrying backpacks (knapsacks in the case of K-12 students). According to Kenneth Hansraj, chief of spine surgery at his clinic, New York Spine Surgery & Rehabilitation Medicine, and principal author, when a knapsack is carried using both shoulder straps, the force is between seven-fold and nearly 12-fold, depending on whether the person carrying it was upright or leaning over. That's akin, he noted, to carrying seven books for every one book tucked into the bag. His findings suggested that traditional recommendations for how heavy a student's knapsack should be are probably greatly overestimating potential capacity. In younger children, previous studies have recommended a safe load of 10 percent; that rises to 13 to 15 percent in young adults. For example, the current study explained, a six-year-old weighing an average of 50 pounds would conventionally be expected to handle a five-pound knapsack. However, that equates to a force on the spine equal to 36 to 58 pounds. For a 15-year-old of an average weight of 124 pounds, a 12-pound knapsack would place between 110 and 143 pounds of force on the spine. The risk, according to the report, is the effect the weight has on ligaments and muscles. "When the ligaments are stressed and are inflamed, then there is loss of side-by-side range of motion and stiffness. The muscles are also stressed and inflamed," the researchers wrote. "Persistent" loads can lead to "intractable pain," they added. The report offered some prevention guidance, both obvious ("pack only what is necessary" and follow "proper posture") and forward-thinking ("embrace digital textbooks"). However, even going digital isn't a panacea; as a 2015 CNN report pointed out, digital learning may require a student to haul around a laptop or tablet, as well as a charger. And that doesn't even count the sports gear, water bottles and "all the little stuff that's buried at the bottom, just in case." The study is available to subscribers of Surgical Technology International 33rd edition.